The best way to understand and appreciate a Dine event is to participate. This is why I naively volunteered to work a wedding on Saturday 30/04/2016, honestly without fully understanding the undertaking… I was a slightly broken, but a very inspired woman by the end of the 17 hour shift. Wanting to fully understand what it took from an events team to deliver the ‘Dine difference’, as it’s something that we talk about regularly, but I could never fully understand until witnessing behind the scenes first hand. Matt, Alice and I set off on Friday morning to start setting up. We arrived to find a very beautiful, but empty Coopers marquee. 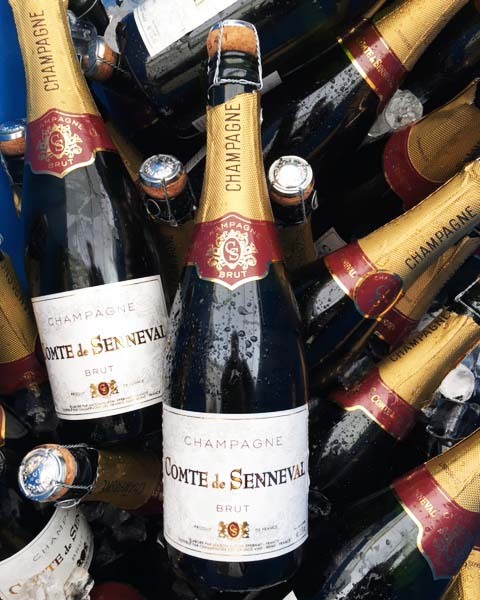 By the end of the day, we had laid tables, set up the marquee kitchen, including ovens and service areas (supplied by Event hire), stocked the bar with glassware and polished 143 mini copper pans. 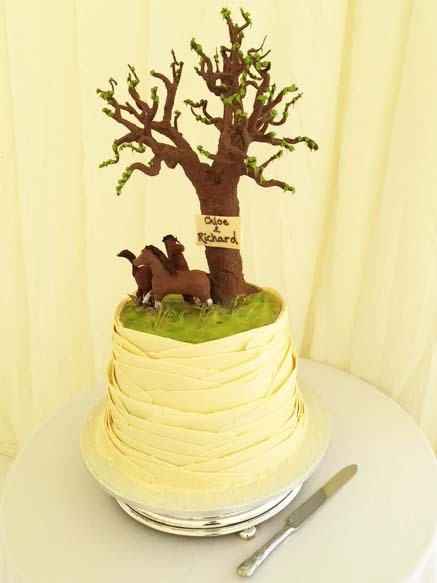 The groom dropped off the magnificent wedding cake – all chocolate, it smelled heavenly. 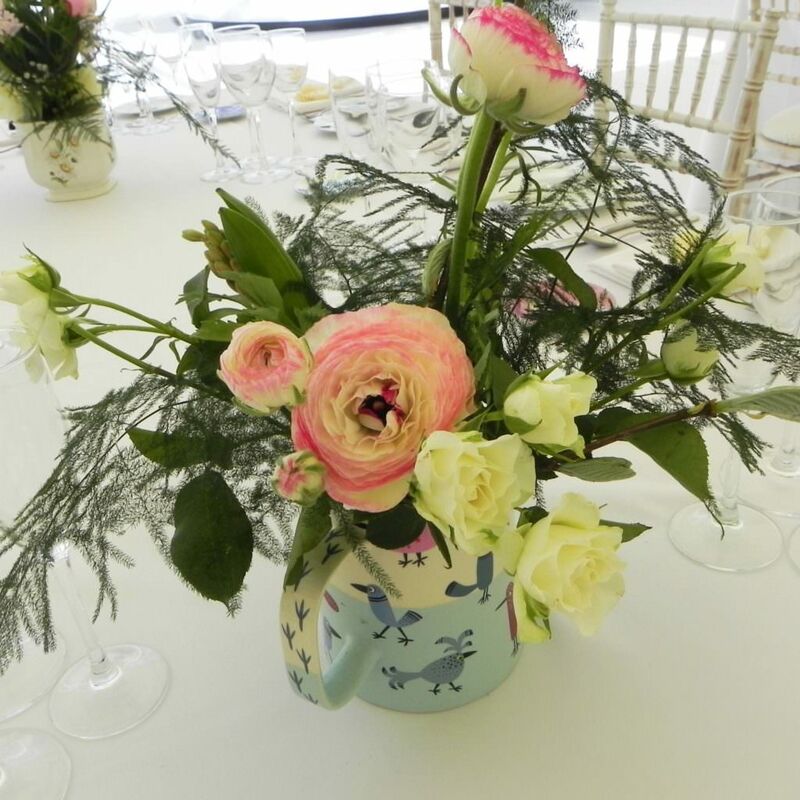 Designed to reflect the couples love of horses, a subtle theme running through the wedding day. Started at 8:30am – we met at The Mansion in Roundhay, jumped in the box van and drove up to Malton (an hour away), to the home of our clients. The weather was glorious! We were greeted by the lovely groom who was carefully laying out his rosette place names. After making sure all of the tables had the correct number of settings, we spent the next couple of hours polishing 715 pieces of cutlery, making sure that the glassware formed diamonds and that the chairs were aligned. 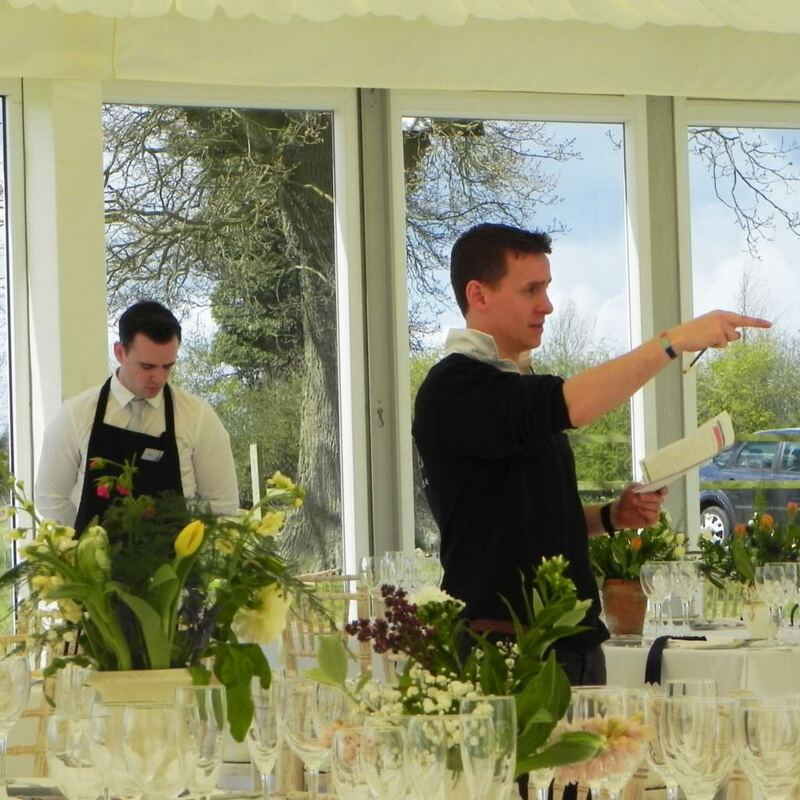 At 12:30, Matt led the briefing – we rehearsed service – the detail covered was incredible! Everything from how to break a napkin, through to serving drinks and how the guests should receive their food. Everything was synchronised. Nerves / excitement started to kick in. Olivia Brabbs, the very lovely wedding photographer popped in to meet us. We shared the timings for the afternoon with her. So she knew what to expect from the day. 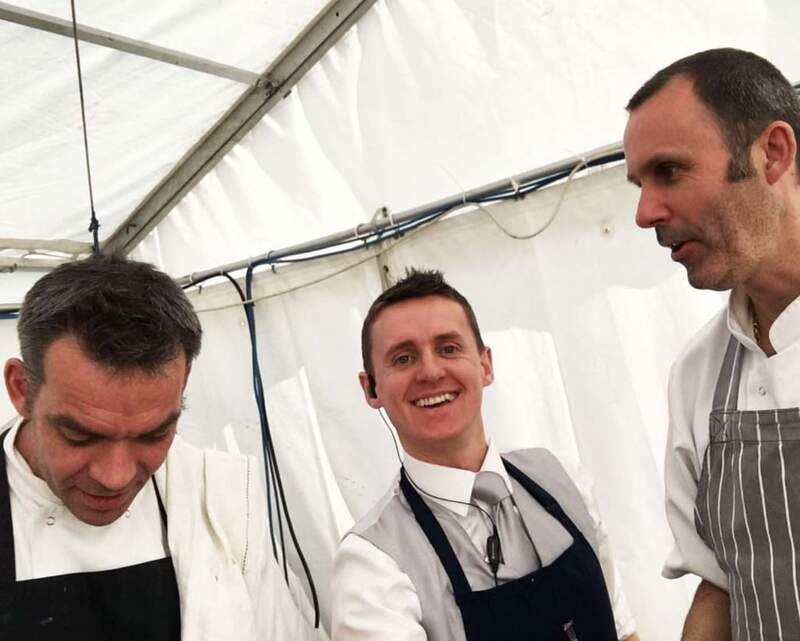 Once menus and any special guest requirements had been memorised in full, we all pulled together to get final preparations done before the canapé & drinks reception at 4pm. Chefs kindly made us some lunch, which was served at 2pm… We definitely needed fueling up for the afternoon ahead! The beautiful Bride and groom arrived on a horse drawn carriage at 4pm, we were all very excited. Myself in particular, because I got to use my headset to announce their arrival. Canapés & drinks were served on the lawn – we went out to greet the bride and groom first as we didn’t want them to miss out! We served over 850 canapés during the 1 hour & 45 minute window before dinner. 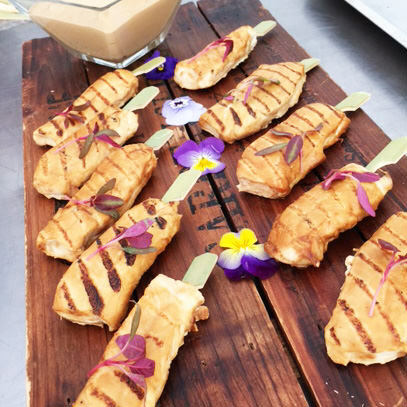 A selection of, mini toad in the hole, handmade mini fishcakes, tart ‘tatin’, Yorkshire blue cheese straws, tomato and red pepper jam, shredded duck cones and Thai chicken satay were served to the guests on a variety of dishes and boards appropriate to each canapé. Guests loved the theatre of the smoke when we lifted the cloche from the canapés dishes. 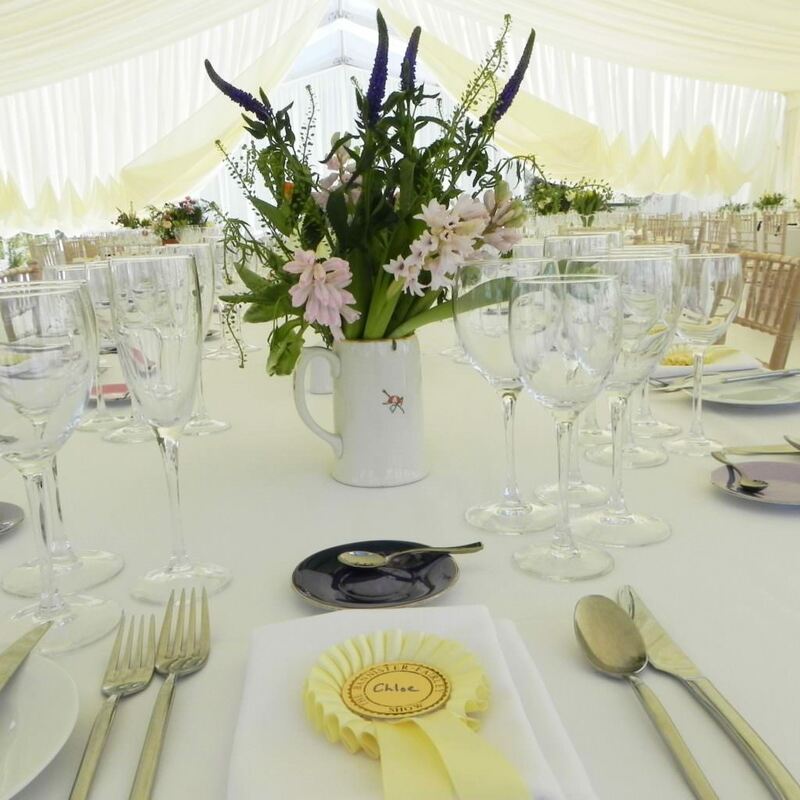 At around 5:30pm, the bride and groom were welcomed into the marquee by their guests – we then began service of the wedding breakfast, starting with breaking napkins, serving bread and pouring wine & water. The bride and groom chose an amuse bouche of celeriac & cauliflower velouté, with a cheese & tarragon beignet – served in a beautiful demitasse. For main course fillet of beef was served with wild mushroom bourguignon confit, button onions, roasted beetroot & buttered greens, with a rich red wine sauce. Roast baby new potatoes or Olive oil & black pepper mash was also part of the main dish (I was in charge of putting the copper pans of potatoes on the dishes). Finally, for dessert – sticky toffee pudding with honeycomb brittle and vanilla Anglaise. Tea, Coffee & Chocolates were served just after the champagne had been poured for speeches. After food service had finished, we washed and dried all of the demitasse and queens plates. Most of the evening was spent making sure the guests had everything they needed. Clearing tables and packing up. We also welcomed a visit in the kitchen from the very lovely bride, who came to see us to pass on her thanks. The shift finished at 1:30am, when we set off back to Leeds in the van. I arrived home at 3am… What a day?! ‘Concept to completion’, ‘making every event special’ and the ‘Dine difference’ are truly at the heart if everything we do. The detailed planning behind every event is phenomenal. We ‘heart’ cling film and blue roll. DO NOT step out of the kitchen without knowing what you are serving! Everything must shine! 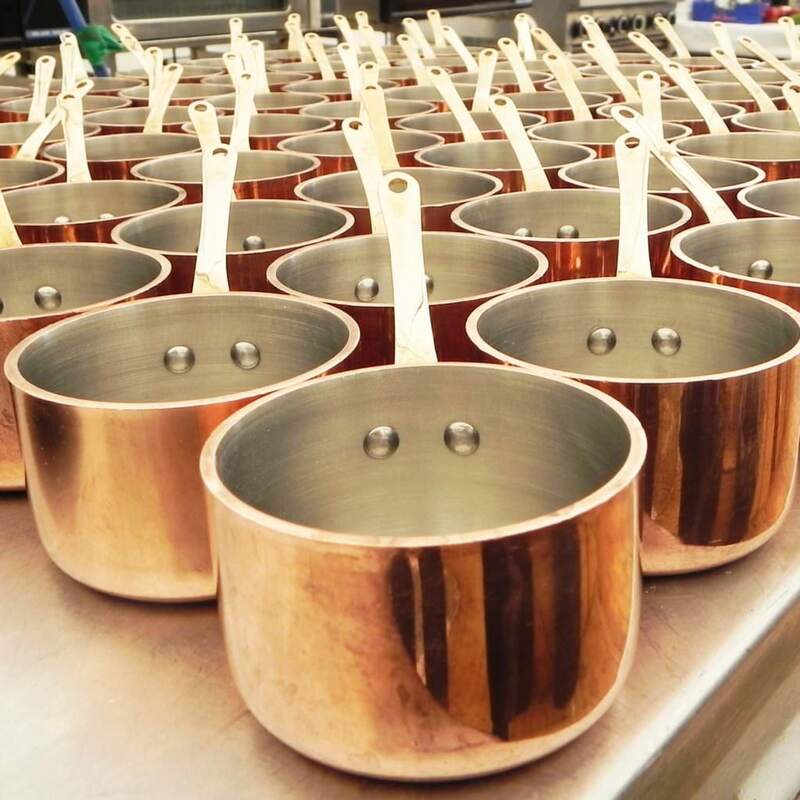 From mini copper pans, glasses and cutlery, to the smiles on our faces. DO NOT take food out of the kitchen until it has been checked by the chef and event manager. Move quickly during service – we DO NOT serve our guests cold food. Dine event staff are super human – It took me nearly a week to recover from that shift! I think if someone asked – “what makes Dine special?” it would be the service and team. We undoubtedly serve incredibly delicious and beautiful food. However, the level of service the team deliver is frankly exceptional. From first concepts and ideas through to completion, our team of event managers have a wealth of experience, which allows them to turn your vision in to reality. If you are interested in using Dine for an event, please call to speak to one of our events team – 0345 450 4545.